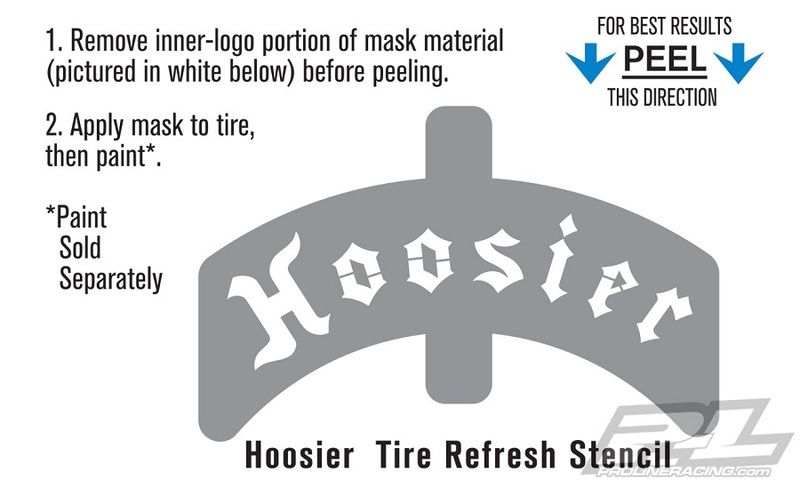 This is a Hoosier Tire Refresh Stencil pack. Do you want to touch up or re-paint your awesome 10153 Hoosier tires with fresh white logos? Then this stencil pack is for you! 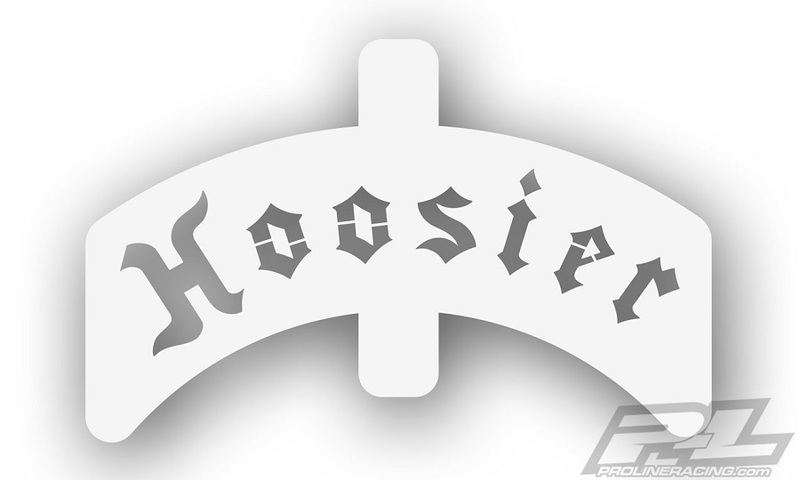 These officially licensed stencils feature the same size Hoosier logos that are printed on Pro-Line’s 10153 G60 tires. 4 Stencils are included in each pack and easy pull tabs have been designed into the stencils for ease of use. Once laid onto the tire, you can re-paint and refresh the white logos onto the tire using any paint pen (sold separately) to make them look as good as new. If scale details are important to you then get your Hoosier Tire Refresh Stencils now!